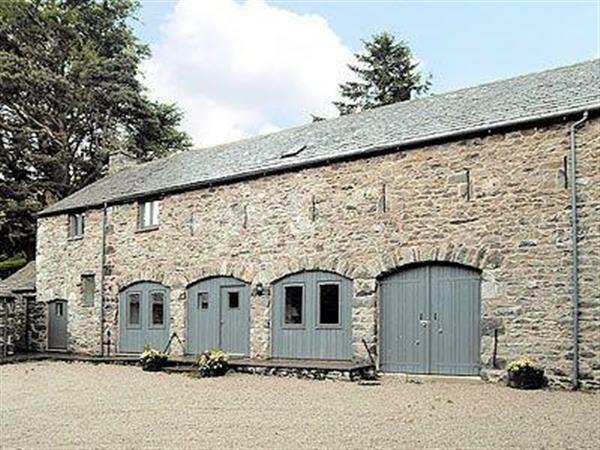 Situated in one of the best locations in the country, this superb detached holiday barn has been converted into a spacious house with two bathrooms and an open sided barn with table tennis and darts. With a river flowing through the woods to the front of the converted barn and its own packhorse bridge, you can use the natural swimming pool, if you can brave the cool water! Just across the field is Lake Ullswater where fishing is available, or you could simply enjoy the breathtaking views of the surrounding mountains. Just 3 miles from Glenridding and 6 miles from Pooley Bridge, from where you can take the steamer down the lake. There is superb walking right from the door across National Trust land including the nearby Helvellyn with its famous striding edge! A fantastic location right in the heart of the Lake District, good for holidays throughout the year. Shop 3 miles, pub and restaurant 1.5 miles. Ground floor: Living room. Dining room. Kitchen. Utility room. Separate toilet. First floor: 3 bedrooms: 1 double with patio doors and en-suite shower room with toilet, 2 twin, all with beams. Bathroom with bath, shower attachment and toilet. Games area with beams and wooden floor. Woodburner in living room included. central heating, electric, bed linen and towels included. Satellite TV. DVD. Stereo/CD. Electric cooker. Enclosed garden with patio and furniture. Parking (2 cars). Holidays at Aira Cottage run from Friday to Friday. For a better idea of where Aira Cottage is, you can see Aira Cottage on the map below. Aira Cottage is in Cumbria; should you be on the lookout for a special offer, you can find all the special offers in Cumbria. It's always worth checking to see what is on offer at the moment. Do you want to holiday near Aira Cottage (W8760), you can see other cottages within 25 miles of Aira Cottage; have a look to find your perfect holiday location.